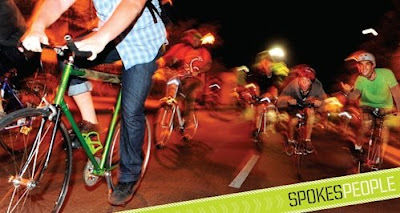 SoapBoxLA: Los Angeles Magazine Rides with LA's Bike Movement! Los Angeles Magazine Rides with LA's Bike Movement! Matt Segal of Los Angeles Magazine lived the life, riding to the Westside for C.R.A.N.K.MOB, to the Eastside for MidnightRidazz, Centralside for Critical Mass and downtown to Storm the Bastille. Along the way he made a few friends, visited the Kitchen, the Oven and the BikeRoWave. This article in LAMag is the result of that journey. "As longtime activists push to make the gridlocked city more bicycle friendly a new wave of riders is partying in the streets, challenging city hall, and even taking to the freeways. Is bike culture here to stay?" Is Bike Culture here to stay? great to see this on the news stands.